Office Depot is selling EVGA's 120mm and 140mm FX case fans for $6 a pop instead of their usual $15 to $20. Computers don’t like to be hot. Adding a fan or two to your PC can help tame wild temperatures and keep your precious (and pricey) components cooled. Everyone should have an intake and an exhaust at the very least! If you need to beef up your rig’s cooling capacity, today’s deal is one you don’t want to miss. 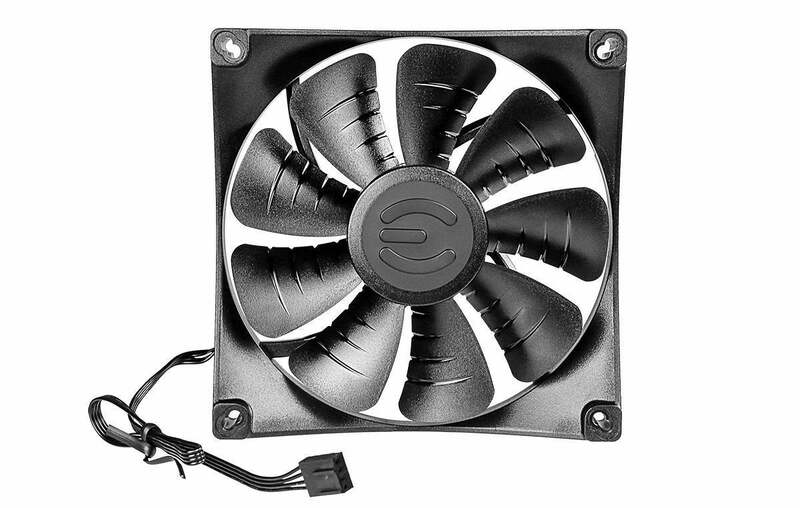 Office Depot is selling EVGA’s 120mm FX12Remove non-product link and 140mm FX13Remove non-product link software-controllable case fans for a mere $6, down from a regular price around $20 each. These PWM fans are designed for quiet cooling and utilize a Teflon nano-steel bearing for longevity. The fan curve can be controlled via software, which is pretty much unheard-of at this ultra-cheap price point. Both fans come with three-year limited warranties as well. While we don’t review case fans at PCWorld—hey, you have to draw the line somewhere—this EVGA duo features the same design as the fans on the awesome $140 EVGA CLC 280 closed-loop liquid cooler that we use in our dedicated graphics card testing rig. They’re probably a huge step up over the freebie fans that came with your case, and vastly superior to any other fan you’d find for about a fiver. Don’t miss out.